C.O.R.E. Medical Clinic, Inc. is pleased to announce that it has been awarded a CARF (Com-mission on Accreditation of Rehabilitation Facilities) Three-Year Accreditation for detoxification and outpatient treatment services. C.O.R.E. Medical Clinic, Inc. is one of the only methadone programs in California that offers psychiatric services at no additional costs to patients who are admitted to our maintenance program. C.O.R.E. 's Medical Director, Dr. Randall Stenson, is a licensed board-certified psychiatrist who has been practicing in the field of addiction medicine and psychiatry for 30+ years. Co-occurring disorders (when someone suffers from addiction and mental illness), previously known as dual diagnosis, are common in our patient population. Addressing mental health issues is crucial in addiction treatment. Successful recovery is sometimes impossible without psychiatric care. C.O.R.E. Medical Clinic, Inc. provides limited primary care services such as abscess treatment, tuberculosis (TB) testing, pregnancy testing and hepatitis A & B vaccination services. Our medical staff also makes Hepatitis C treatment referrals and other necessary medical referrals such as EKGs and methadone blood serum levels. This program is run in conjunction with our methadone maintenance program. Withdrawal from opiates can be potentially dangerous to the unborn child and mother. Additional services include weekly pregnancy group meetings with our staff physician and pregnancy counselor, weekly urinalysis drug testing, coordination of treatment with your OB/GYN, and specialized counseling services focused on pregnancy, parenting, nutrition, and breast feeding. Split doses are typically provided for pregnant patients due to increased metabolism. Please contact Cynthia Giddings at (916) 442-4985 to learn more about this program. C.O.R.E. Medical Clinic, Inc. employs a Hmong speaking counselor experienced in working with this population. He also speaks Thai and Laotian. Our current counselor has a Master’s Degree in education in addition to his alcohol and drug certification. C.O.R.E. maintains a Southeast Asian Resource Guide on-site to provide culturally competent referrals. Please contact Pa Ia 442-4985 to learn more about this program. This group is held on the 3rd Wednesday of every month from 11am-noon. Dr. Stenson focuses on how opiates affect our brain chemistry and our internal endorphin system. This meeting is open to the public and family/friends of patients are encouraged to attend to learn more about opiate addiction. Overdose Prevention Training – Conducted by Harm Reduction Services. Rescue breathing and naloxone (aka narcan) administration is covered. Upon completion of the class, participants receive two free doses of naloxone and an administration kit plus other valuable information. This group is held once a month. Housing the Homeless – Conducted by Sacramento Steps Forward. A Homeless Outreach Coordinator links patients to housing and housing resources, in addition to helping patients secure valid ID cards. This group is held once a month. Hepatitis C Support Group – Focuses on providing up-to-date medical information, support for those in treatment, and educational information. Hepatologists and other special guests occasionally facilitate this group. 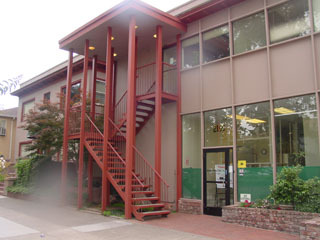 This group is held at the Sacramento Native American Health Center and is facilitated by a C.O.R.E. employee. Relapse Prevention Group – Focuses on helping people discontinue all illicit drug use, including cocaine, crack, and/or methamphetamine use. Women’s Empowerment (Women only) – Focuses on self-esteem, stress reduction, healthy relationships, health & wellness, parenting skills, domestic violence, and much more. Pregnancy Support and Parenting Group – Covers risks and effects of illicit and legal drug use during pregnancy, benefits of methadone treatment and risks of abrupt withdrawal from opiates, importance of attending prenatal visits, signs and symptoms of opiate withdrawal in the newborn, risks and benefits of breast feeding, postpartum depression and much more. The group is facilitated by our staff physician. The group is warm and welcoming and all questions and/or concerns are addressed.